Marissa is a New Jersey based photographer from Morris County, currently attending William Paterson University to receive her Bachelors Degree in Fine Arts with a focus in Education & Photography. 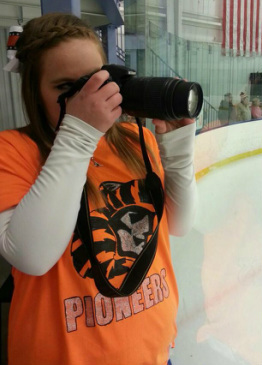 Her interest in photography began while she was in high school & she is currently the Official Team Photographer for William Paterson University Ice Hockey Team. She has experience in photographing sports/athletic events, portraits, & landscapes. Please feel free to contact Marissa to have her photograph your next event! Official team photographer for the William Paterson University Ice Hockey team. Created the banner for the William Paterson University Ice Hockey team for winning the SECHL Playoff Championships for the fourth consecutive year in a row. Banner was on display in the Student Center at William Paterson University from Spring 2013-Fall 2013. 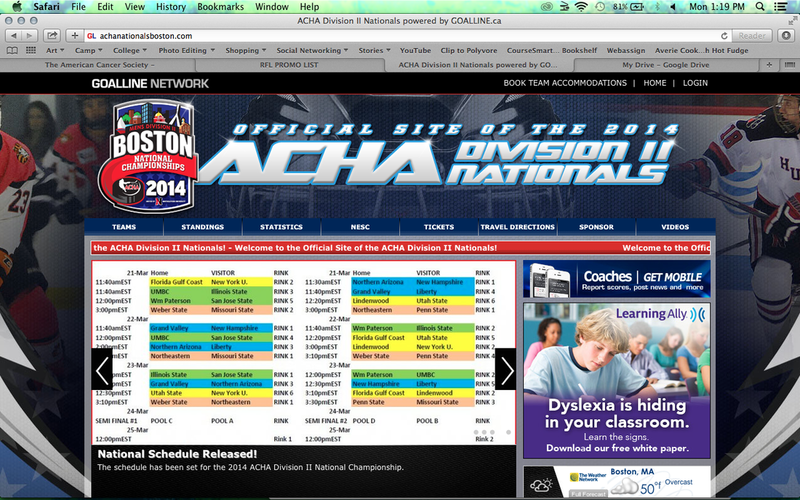 Photos of WPU Ice Hockey also used as backgrounds by the ACHA for their National Championships website. 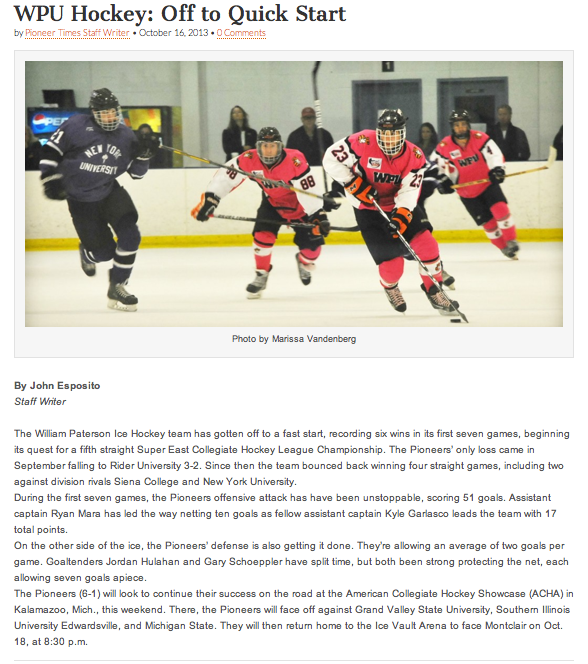 Photos of the William Paterson University Ice Hockey team used for various articles featured online and in newspapers printed and distributed on campus.